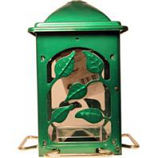 Established in 1995, Apollo Plastics Ltd. is a plastic injection molding manufacturer in home and garden products. 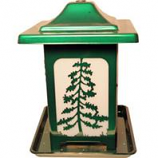 Holds up to 5 pounds of seed. Constructed of heavy duty steel. 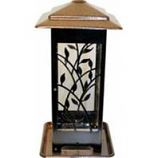 High quality rust resistant powder-coated finish. Four perches. Steel cable for hanging. Holds up to 5lbs of seed. Hangs with coated steel cable. 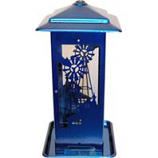 High quality powder-coated finish is rust resistant. Fully assembled-ready to use. Made in the usa. Holds up to 5lbs of mixed seed. 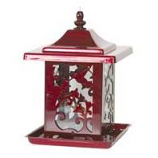 Made of heavy duty rust resistant steel. 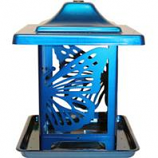 High quality powder-coated finish is rust resistant. 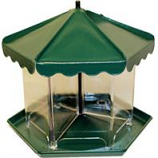 Four metal perches offer generous feeding spaces for birds. Coated steel cable. 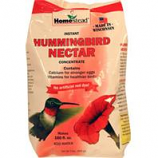 Loaded with vitamins and calcium to provide hummingbirds a nutritionally sound diet. No artificial red dye - all natural carmine is used to achieve red coloring. 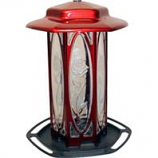 Encourages healthier birds and stronger eggs. . .
Grape infusion. Contains vitamins and calcium. 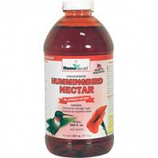 Makes 160 fl oz.. . .
Loaded with vitamins and calcium to provide hummingbirds a nutritionally sound diet. No artificial red dye - all natural carmine is used to achieve red coloring. 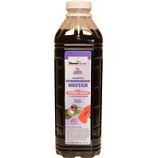 Encourages healthier birds and stronger eggs. No boiling no premixing and no mess. Makes 192 fluid ounces. 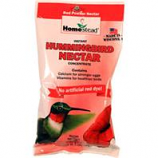 Loaded with vitamins and calcium to provide hummingbirds a nutritionally sound diet. No artificial red dye - all natural carmine is used to achieve red coloring. 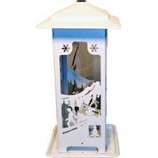 Encourages healthier birds and stronger eggs. No boiling no premixing and no mess. Makes 32 fluid ounces. 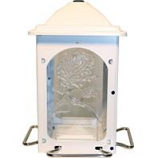 Holds up to 6 pounds of seed. 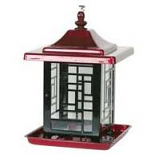 Constructed of heavy duty rust resistant galvanized steel. 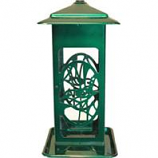 Continuous metal perch offers generous feeding space. Drain holes ensure fresh seed. Made in the usa.